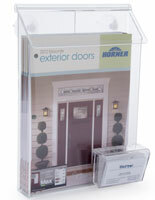 This outdoor brochure holder is a weather resistant dispenser that is placed on the outside of a house for sale or business. 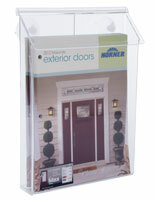 The exterior flyer box is built to keep information on display protected from rain and moisture. 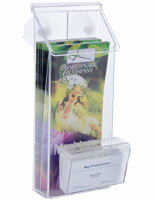 The real estate brochure holders, outdoor literature displays can be attached to a wall or ground post to increase exposure. 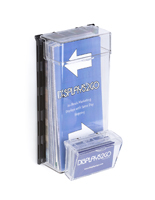 Typically, no more information can be distributed once the business has closed for the day, but these innovative brochure boxes work around the clock to hand out packets, flyers, and other information. 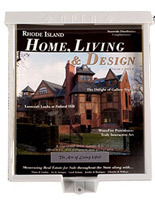 The lid, or flap, at the top of each of the brochure boxes for realtors are hinged, so adding more reading materials is simple. 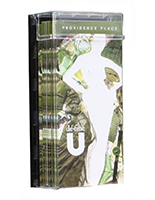 In addition, the waterproof top closes tightly to prevent the elements from damaging your valuable advertising materials. 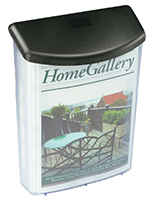 Our outdoor literature holder collection features wall or post mounted boxes. 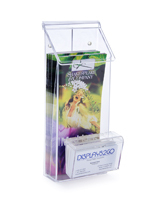 Each exterior flyer dispenser includes a flip-open top. 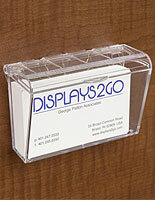 The real estate brochure holders are easy for customers to access and simple for employees to refill. 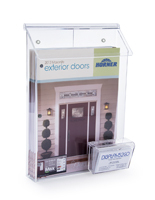 The hinged flaps prevent water from entering the enclosure, which keeps information dry and damage free. 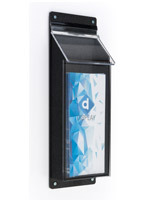 There is no sense in letting your expensive pamphlets or brochures deteriorate just because you want to place them in an accessible outdoor location. 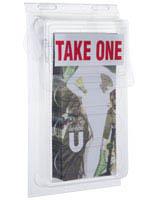 Order one of these "take-one" boxes to use on most any exterior wall. 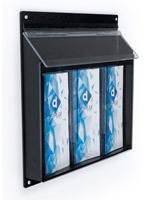 There are different sizes, so realtors, welcome centers, fill stations, and other outside businesses can display all the publications they desire without worrying about the weather. 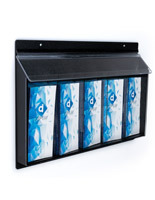 Another helpful design is the outdoor magazine rack, sometimes called an exterior-use pamphlet display, which keeps 8.5" wide printed materials protected from inclement weather conditions. 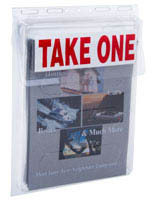 The outside pockets are completely enclosed so that important publications are available at all times to potential customers. 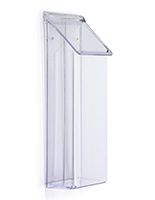 Most of the weatherproof magazine racks are also attached to the wall, although some can also be mounted on top of a stand. 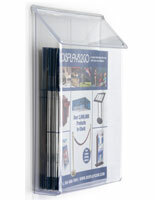 Either way, your valuable company catalogs and magazines will be accessible to customers after hours. 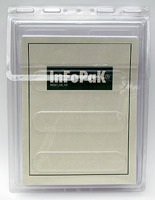 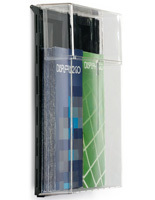 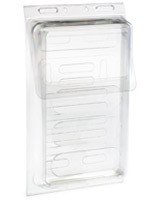 There are all kinds of applications for the acrylic and plastic pockets. 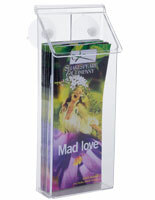 Use them for virtually any outdoor setting, from a theme park to a recreation area to a non-profit organization.